Dense aggregate blocks create durable, long-lasting constructions, and are the most widely used and versatile building block available today. 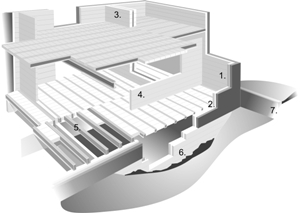 They offer a cost-effective and proven building method, allow effective control of noise and heat, and permit the range of strengths required for most designs and applications. Thakeham's Calxite range of dense aggregate blocks is Close Textured as standard and are available in a number of sizes and configurations. 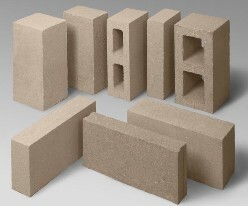 These smooth faced blocks are eminently suitable to recieve direct decoration as well as being able to accept different types of finishing e.g. render, cladding, plaster or dry lining. When requirements permit, a more open textured General Purpose finish is available in selected sizes. Compressive strengths of 7.3N/mm2 are standard throughout most of the range, though higher compressive strengths can be produced to order. Download Thakeham Calxite Technical Brochure here. For full CE Mark Information and Declarations of Performance click here. Retaining Walls, for a strong and economic solution. Find guidance on these applications in our Technical Download section. *When used in accordance with beam manufacturer's instructions.